Back to school is about month away!! That means the stores are filling up with notebooks and markers and paper oh my! I love it, I love filling my cart with new crayons and construction paper, picking out backpacks and lunchboxes. 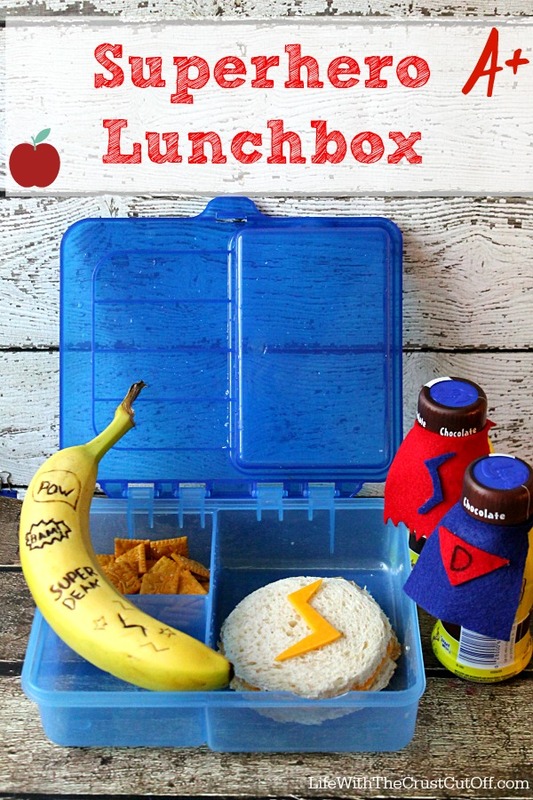 I am obsessed with making cute lunches for my little one and right now he is big into superheroes! 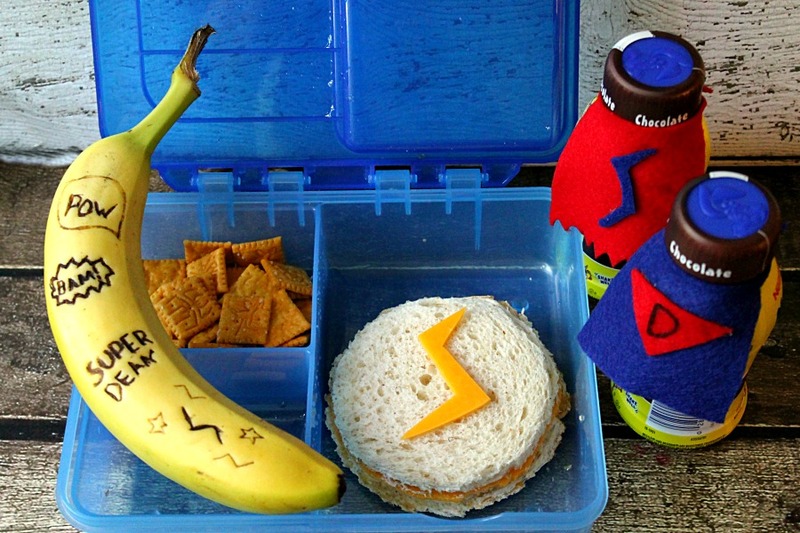 So I thought it would be cute to make a superhero lunch for his first day at school. While shopping at Walmart for all my back to school supplies I decided to stock up on some good lunchbox fixins. 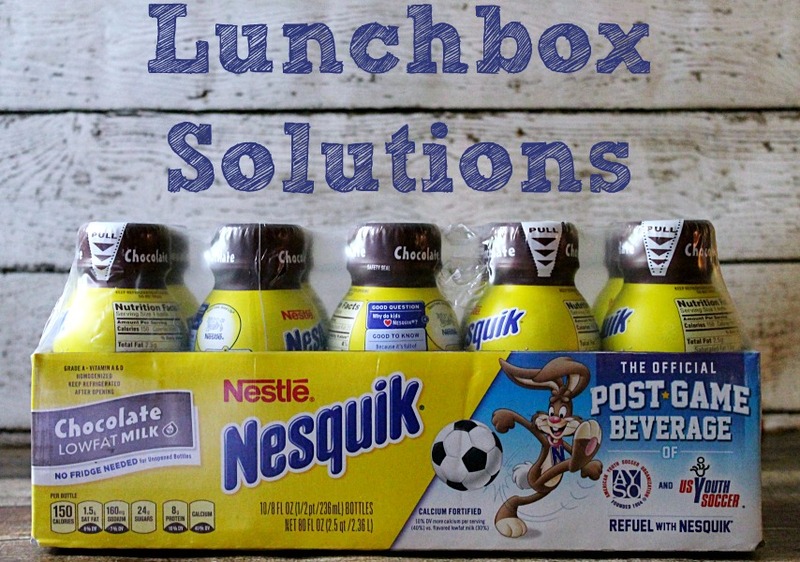 I spotted these Ready To Drink Nesquik Bottles and knew they would be perfect for lunches. Dean loves chocolate milk so this is the perfect thing to pack along with all those pb&j sammies. Nesquik is a staple around here and something I grew up on and Dean loves it too! We love the chocolaty taste and I love that it is a calcium fortified refreshing and delicious drink. I also picked up an 8 pack of Juicy Juice because lunch boxes and juice boxes go together like… well peanut butter and jelly! Once at home I got started on assembling my superhero lunch box!! I cut a sandwich into a round and then using a knife free-handed a lightning bolt out of a slice of cheddar cheese. Place that lighting bolt on top of the sandwich and it looks like a superhero emblem. I serve that alongside a few superhero cheese crackers. 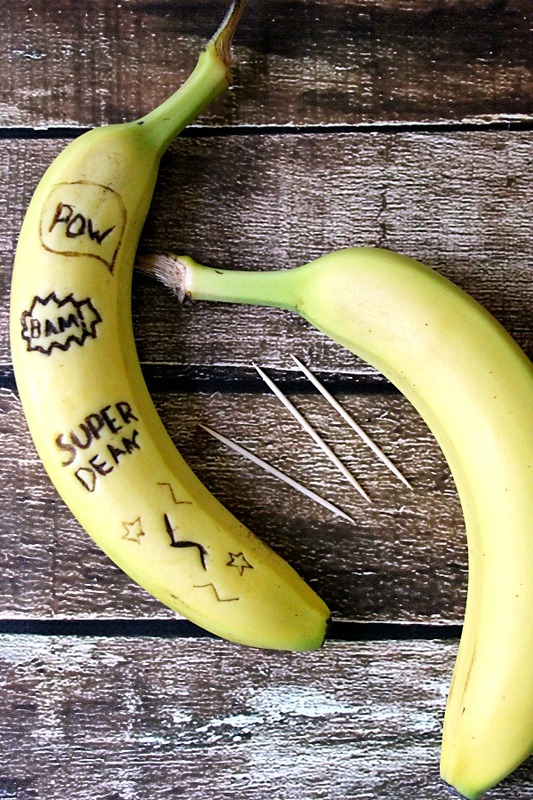 For the banana I take a toothpick and draw a few superhero “pows” and “bams” on the banana skin in the morning and by lunch time they show up on the banana making for a super banana! 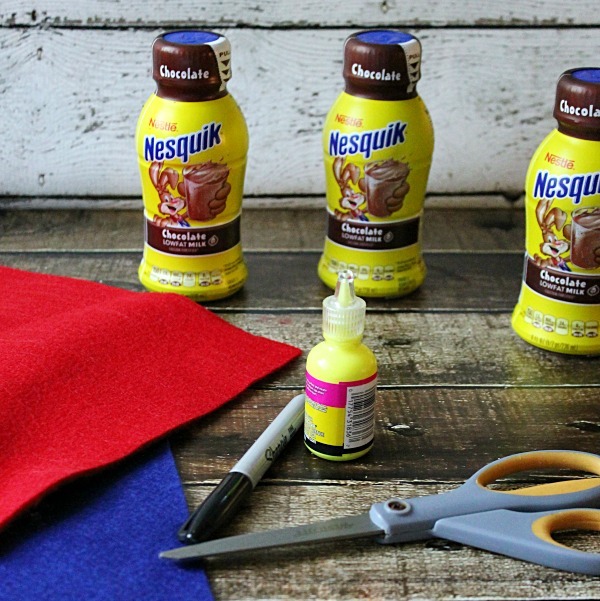 Making the capes for the Nesquik bottles are a cinch! 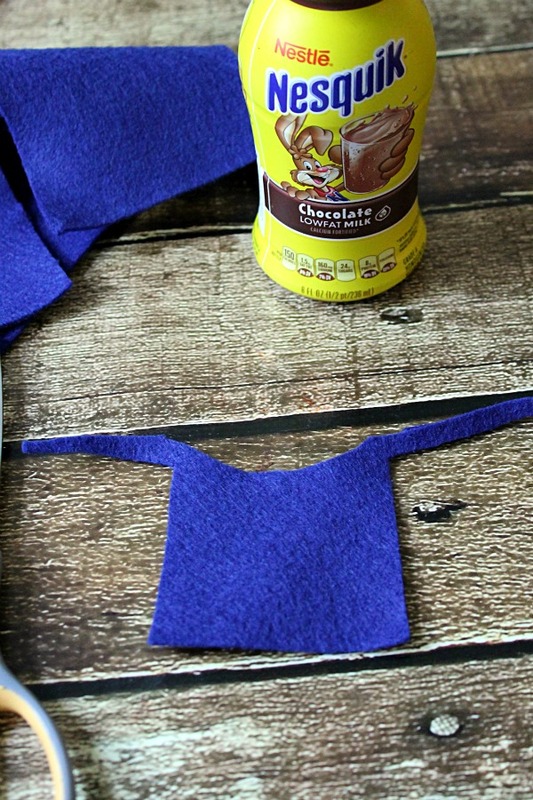 I just cut out a cape shape from felt and leave some “strings” to wrap around the neck of the bottle. 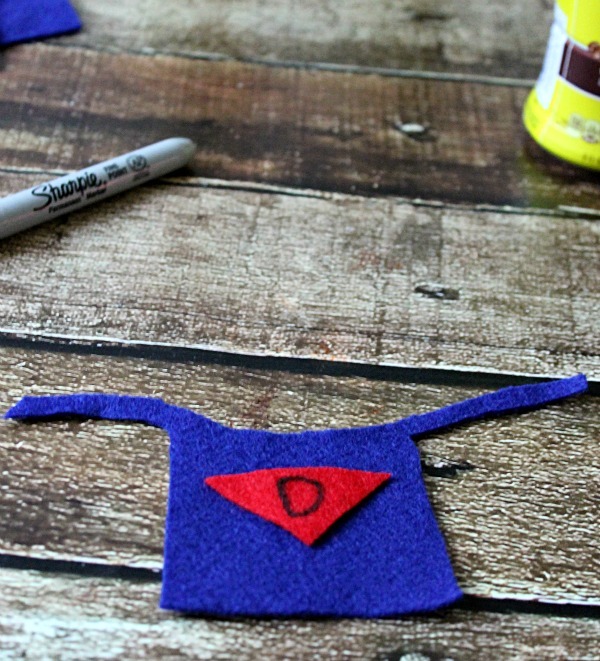 Then I just use a marker or a little fabric paint to draw on a super hero logo on scraps of the felt, maybe a “D” for Super Dean! Once dry I just use my trusty glue gun to secure both “strings” around the neck of the bottle. Just a dab on the end of one string and then stick it to the other one. Once those are dry you have yourself one Super Lunch! Dean loved this lunch!! It will be a big hit once school starts. 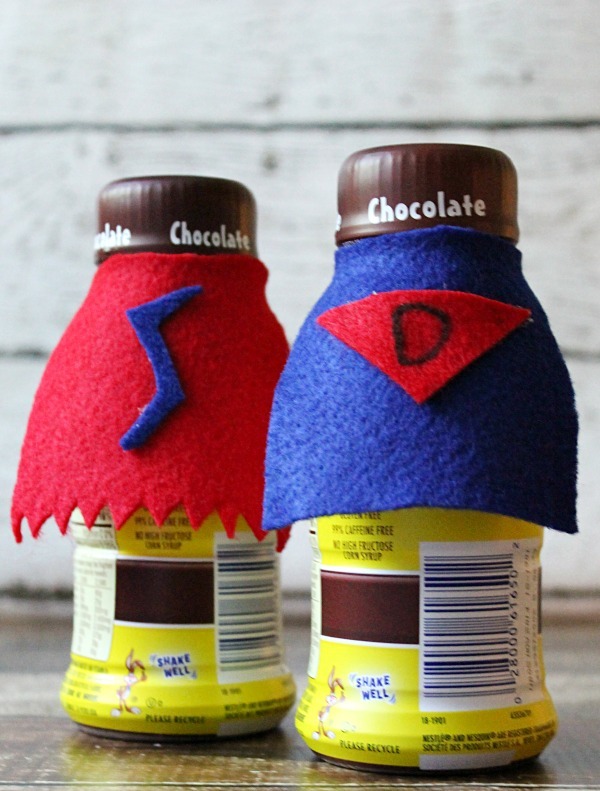 You can take an hour and make a couple of these little capes and surprise your kids with Super Lunches for the rest of the school year! 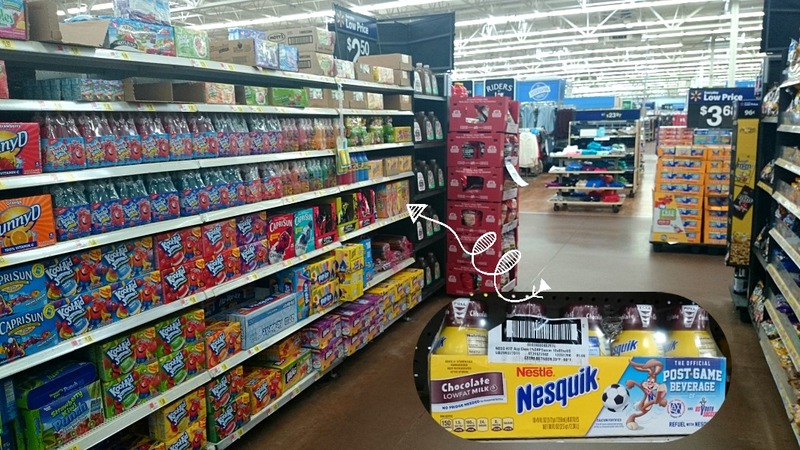 So when you are picking up your school supplies at Walmart this year don’t forget to pick up some Nesquik for some Super Lunches!! Get great recipe ideas from Nestle! What is your favorite lunchbox treat? Oh my gosh!!! I love, love, love, this! I opted for school lunches but I want to make a lunch just so I can make it fun and exciting like this one! I bet it would be a nice treat. Thanks soooo much for linking it up to Snickerdoodle Sunday! What an awesome lunch! How fun! I love this! I’m saving to make for my boys. Aaaaand the cutest school lunch box goes to….YOU! Super adorable! Thanks again for sharing all of these awesome posts last week at Bewitchin Projects! love this idea~ especially the capes!